A knot pattern can be found in Veneer type that is sliced from branches with their grains running perpendicular to the actual grain of the trunk. A knot like design can be seen on such veneer surfaces in various loose and tight formations. The knotted patterns on veneer surface is a feature that makes this type of veneer extremely desirable to a designer, architect or a homeowner with a keen eye for exclusivity and aesthetics. 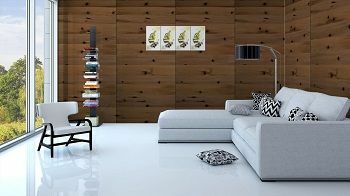 Knot veneers are best used for very rustic, minimalistic, and a shabby chic styled furniture piece or interior design.